NEWS: “Together with hello Kitty” revolution! The All-New “Together with hello Kitty” revolution! 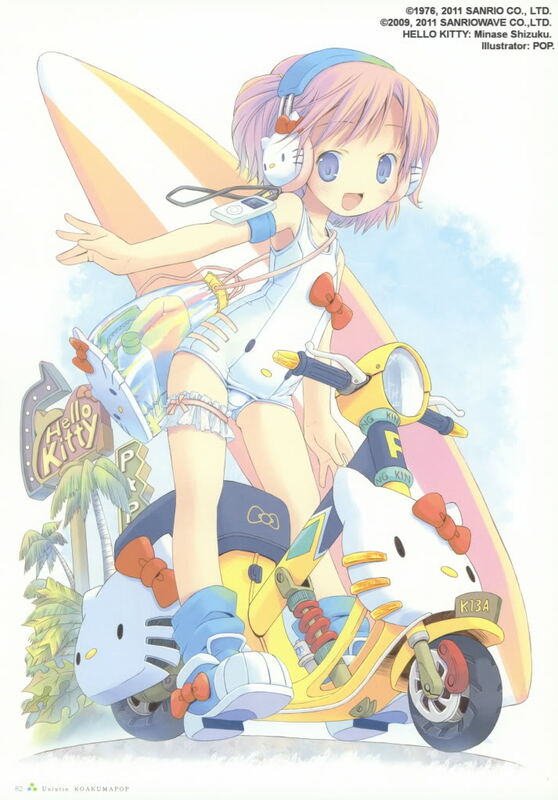 I first realized something big was going on around Hello Kitty Japan when I was looking for new artwork of my favorite illustrators. Today, I felt this urge to write about the new re-designed Hello Kitty contents by Sanriowave co. called: “ハローキティといっしょ!” (Hello Kitty to issho) which means “Together with hello kitty”, or for Short: “Kittylers”. 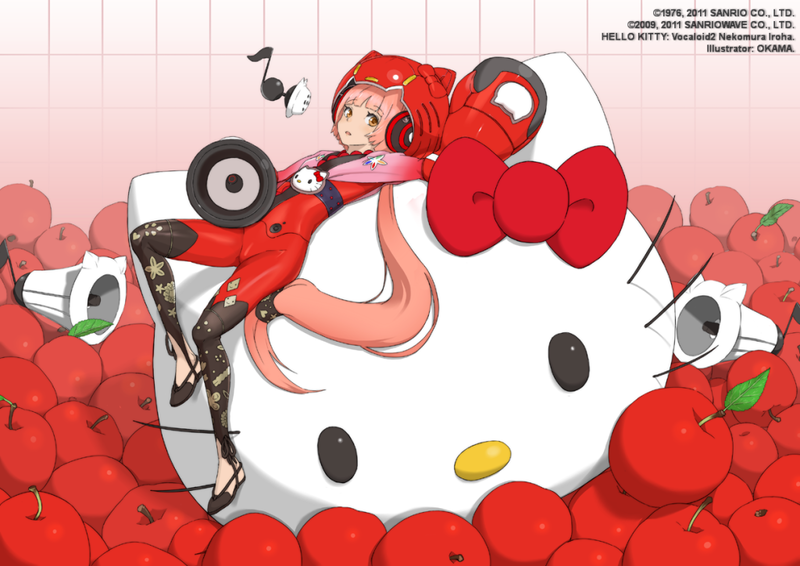 Over the past years we saw virtually no-changes on the Hello Kitty Art. A simple: “plain cute” concept took her where she is right now, so why did they even think of a change? With this in mind, I tried asking some of my Japanese friends about cats (yes, the real animal). Over 60% said they dislike them for more than one reason. Nevertheless they think cats are by definition a "plus item" for Girls; improving their cuteness and sometimes sadly used as nothing more than "fashionable items". So, on a different approach, I went ahead and asked what they think about Girls wearing “cat ears”, “cat tails” or any other “cat-like accessory”, of course I was prepared for better odds... ^^; What I got in return was no less than 90% (positive answers)... Yes, Us boys LOVE girls wearing cat accessories! I can also say for sure; -The closer you get to the Japanese culture the easier it becomes to admit something "looks cute"- Specially when it comes to Girls, maybe because it's easier to say that word in Japanese than other languages, who knows... We should probably call this: “The Kawaii tendency” ^^; and believe me when I say: There are enough "Cute looking" things in Japan to please every person with any peculiar taste around the Globe! What happened next was nothing unexpected, really. HK needed a “fresh image” but this time, more "appropriate" for the male audience. So basically, they applied that same 90% working formula (described before =p), and made a fantastic combination of two amazing concepts: Anime-like characters illustrated by the most popular CG artists in Japan Hello kitty outfits. 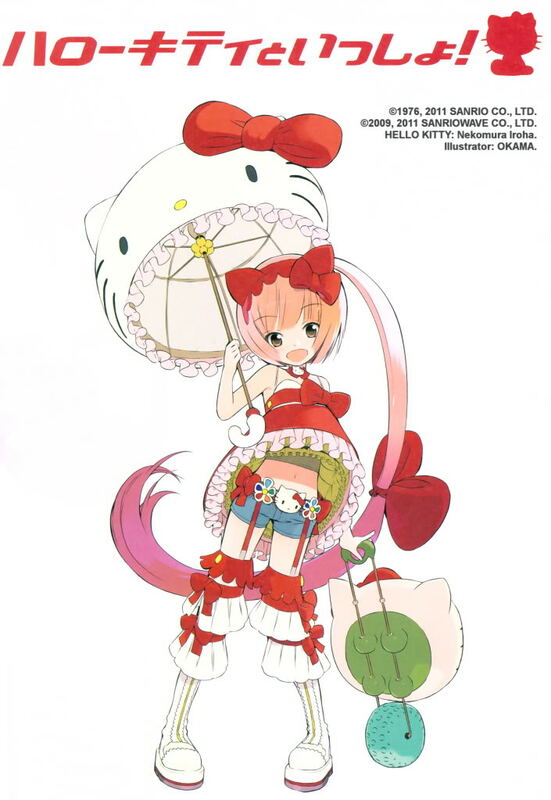 Let’s think about it for a brief moment; here, instead of using “just any cat”, we have Hello kitty itself decorating the already marvelous characters straight from the hands of many super popular Japanese illustrators. You cannot go wrong that way! In Japan, this phenomenon became almost an instant success. At this very moment the “new wave” (literally =p) is preparing to reach international shores, and when it does, everyone (including the boys) will be surprised by the radical change! We should be able to see more characters late this year, since the collaborators are continuously increasing, as we speak. From the current characters; Nekomura Iroha was chosen to become a Vocaloid2 and she is already singing on the web. All I can say about her voice at this moment is: She can perfectly sing Enka! But I still prefer Miku for J-pop and Lana Yuki for Anime songs, even though Iroha sings a bit better in English and some quiet-ballad Anime songs. 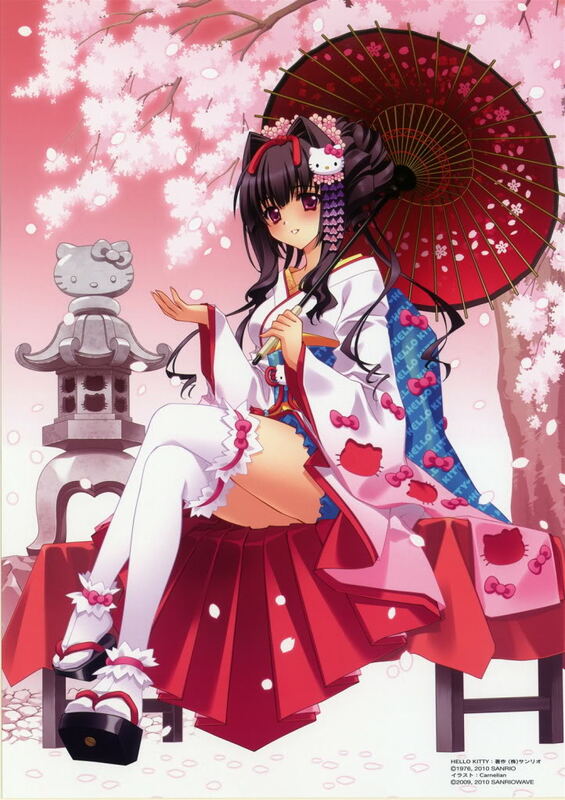 Listen to her voice here: Clepsydra & Tsubasa by Nekomura Iroha Vocaloid2 software from AH-Soft.